Level 3 is 204 DPS what i've heard, and roughly 3600 mass. most likely going in the bridge. Cant see it ladting thru a good prep fleet on a cm. Someone posting a video in action would be great. 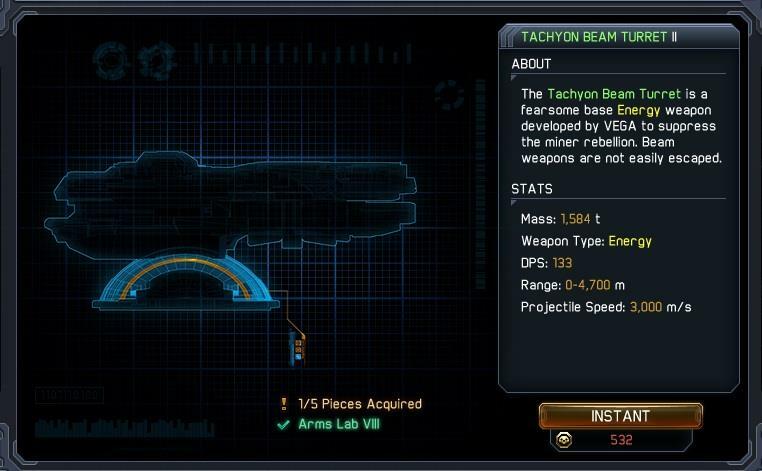 What tier is tachyon laser turret 1, 2, and 3? 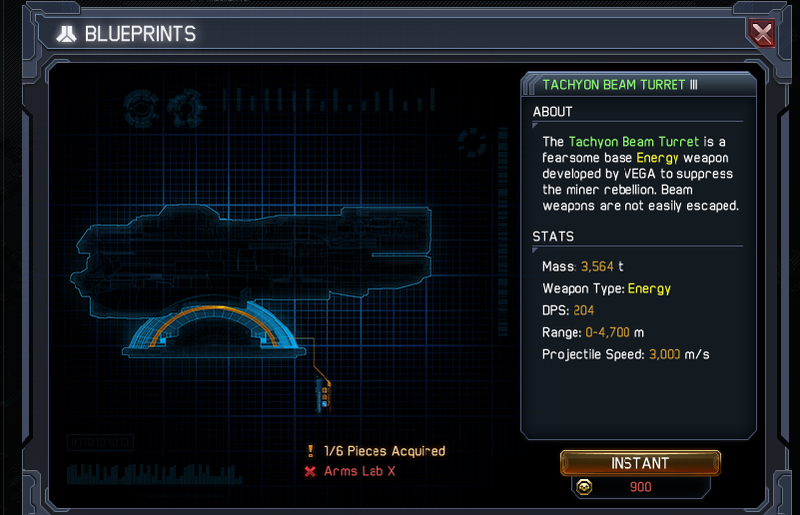 3s probably gonna go on bridge, and with its massive damage nearly equivelant to 2 beam lasers, unpreppable on bridge. By the way is the VEGA cruiser and battleship that strong or just a ilttle stronger, anybody have them yet? Note that it is Level II (2). Most base weaps, to date, go from 1 to 5. So what are THEY going to be like? Here is the level 3.